Officedrop’s office fruit, milk and snack delivery in Glasgow and the surrounding cities has been designed to be trouble-free. You place your order either for regular or ad hoc deliveries and we do the rest. We also offer cost-effective deliveries of tea, coffee and flowers to companies, as well as other good like sugar and bread. Give your employees a helping hand towards achieving their healthy eating goals by providing them with regular fruit and other healthy snacks. After all, a healthy employee is a productive employee. 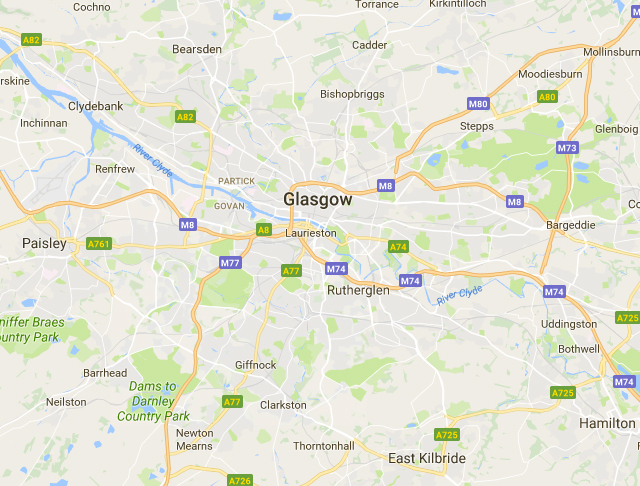 We provide a daily fruit delivery service, Monday through to Thursday, to many workplaces in Glasgow city centre in addition to surrounding areas such as Motherwell and Paisley. We aim to have all deliveries completed by 11am. We purchase our fruit from reputable and trusted suppliers and with a close eye on quality control, our fruit boxes are packed and delivered with care by our conscientious team. We also have a network of trusted partners to get all your other office essentials to your door, including milk, tea, coffee and flowers. To discuss how Officedrop can help you develop a healthy and more productive workplace with our office fruit, milk and snack deliveries in Glasgow and the surrounding areas, please call us on 0333 358 3310. Fruit Facts! We line and cover our boxes with a total of 110 miles of tissue paper each year, the equivalent of 17 circuits of the Glasgow Subway system.